Below are three of my staple Principal Component Analyses (PCA) featuring Baltic Bronze Age (Baltic_BA) samples from the recent Mittnik et al. 2018 paper (open access here). 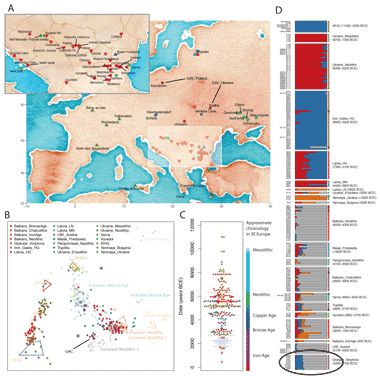 On each of the plots I've also highlighted modern-day Balts and Poles. The latter two PCA also include most of the other ancients from the said paper (listed here). 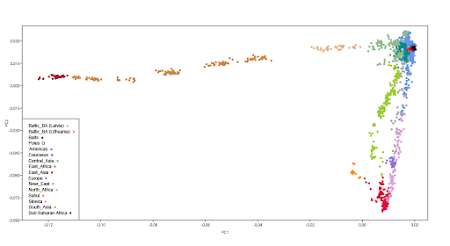 They're not highlighted, but all of the relevant datasheets are available here, here and here, and easy to plot with the Past software. No doubt, these Bronze Age peoples of the East Baltic, and in particular the four individuals from Turlojiske, Lithuania, are very closely related to modern-day Balts and northern Slavs. They may well be our ancestors, or at least close relatives thereof. 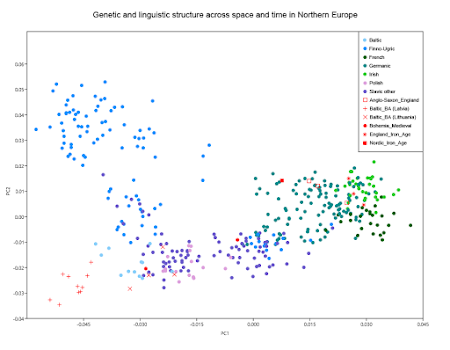 This is argued and demonstrated well enough by Mittnik et al., and it clearly shows in my PCA, especially the first one, which is designed to focus on entho-linguistic-specific genetic drift in Northern Europe. 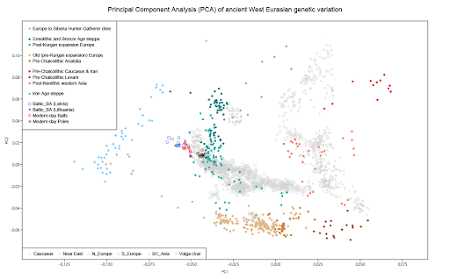 Nevertheless, overall, they do clearly show a higher cut of indigenous European Hunter-Gatherer ancestry relative to modern-day Northeast Europeans (note how in the second PCA the Baltic_BA samples pull towards the European Hunter-Gatherers compared to Balts and especially Poles). I'm not exactly sure what the explanation is for this yet. Indeed, there might be several different explanations. But generally speaking, it's probably in large part the result of post-Bronze Age gene flow into the Baltic region from Central Europe.